Please note the following update on Queensland weather as per the State Disaster Coordination Centre. 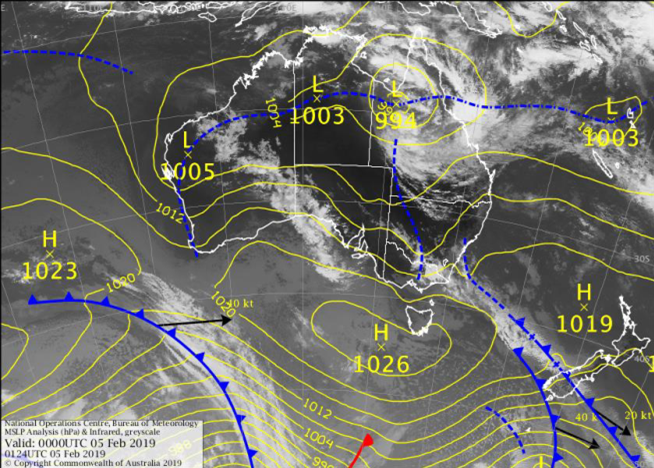 Showers and thunderstorms about an active monsoon trough and embedded tropical low. 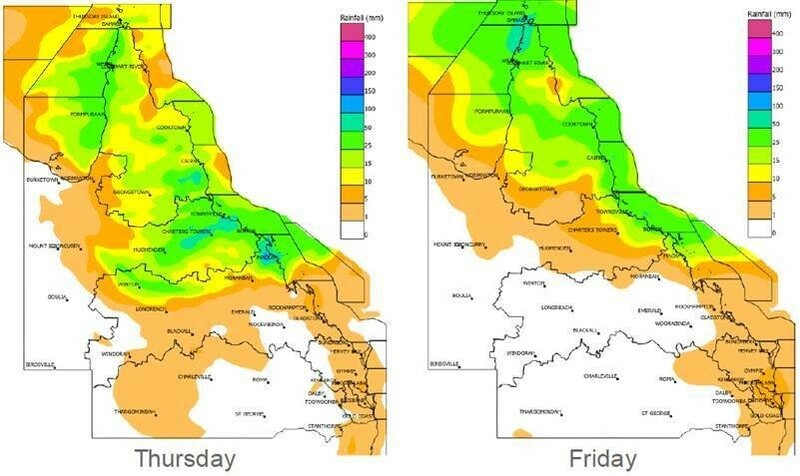 The monsoon trough position is expected to be slow-moving until at least Friday. 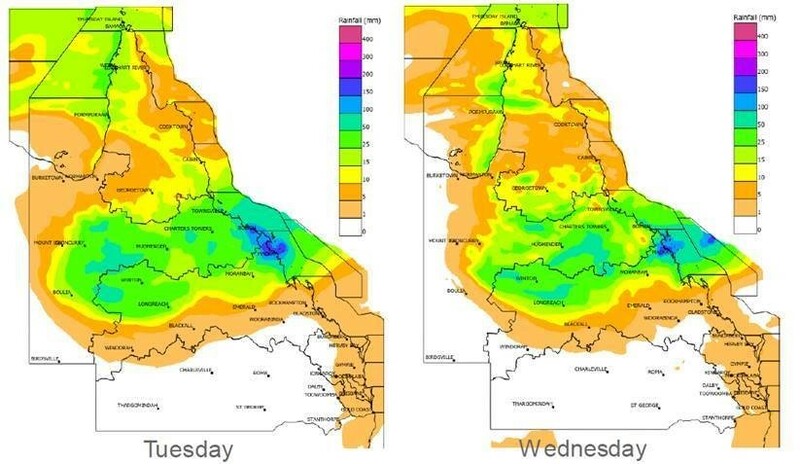 Townsville recorded 1158mm in the 7 days to 9am Monday (1115mm in the 7 days to 9am Tuesday). Previous record was 886.2mm (1998). The Townsville annual average rainfall is 1128mm. 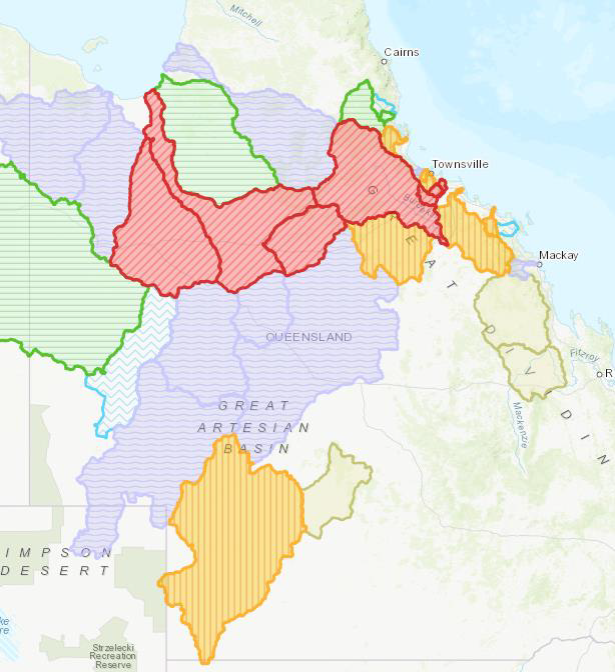 Major flood levels current for the Upper Burdekin, Haughton, Flinders, Leichardt Rivers and parts of the Diamantina. 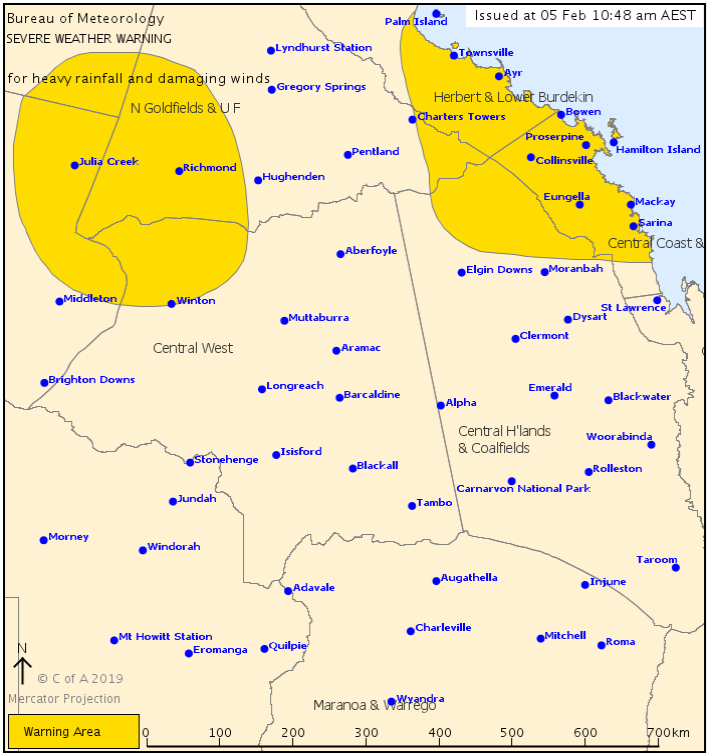 Major flood warning for Cloncurry, also. Heavy rainfall and damaging winds. 150mm to 200mm is likelywith areas of intense rainfall with totals up to 300mm possible, particularly with bands of thunderstorms. Flash flooding and landslides are a significant risk. From the weekend, rainfall may begin to ease/move away. 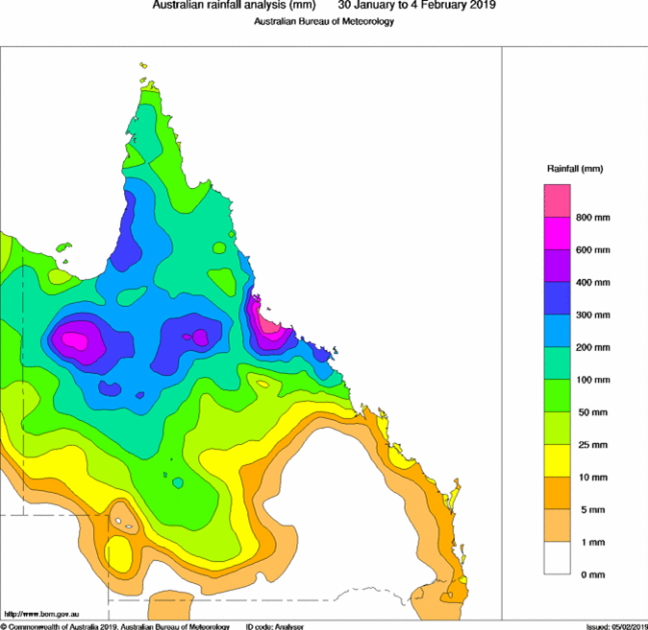 Abnormally high tides are forecast around the Gulf of Carpentaria coast, including the Torres Strait Islands. 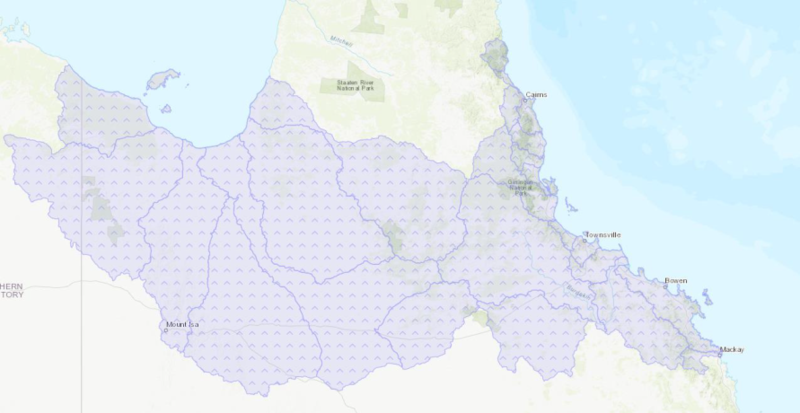 Water levels above HAT are possible around the time of high tide, exacerbated by large waves through parts of the northern Gulf and Torres Strait. 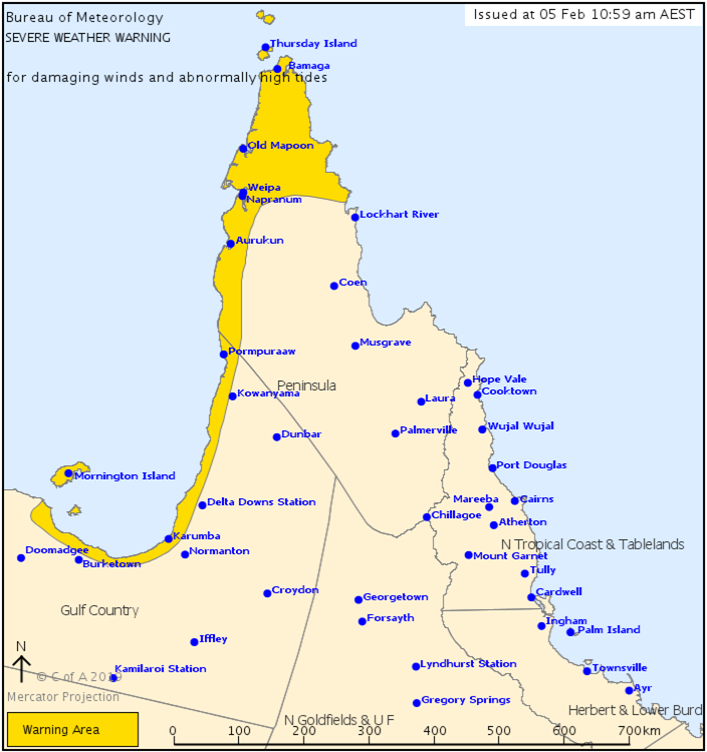 Monsoonal squalls with damaging wind gusts up to 90km/hralso possible north of Weipa, particularly with thunderstorms. A 95 km/h wind gust was recorded at Horn Island at 9am.